The domestic cut flower business has experienced a renaissance in the past decade, thanks in large part to the first edition of The Flower Farmer: An Organic Grower's Guide to Raising and Selling Cut Flowers , which helped thousands of small growers start successful businesses. This newly expanded and thoroughly revised edition will be equally as influential for novices and experienced growers alike. With the cut flower business growing at record rates, demand is at all time highs, challenging growers to take advantage of new techniques to prolong the harvest. New sections on utilizing greenhouses, recommendations for flower cultivars, and post harvest handling growers throughout all of North America will help improve their bottom line. Also updated is the acclaimed resource directory, complete with sources of seeds, plants and supplies, and expert information on organic production under the National Organic Program. For the beginner and backyard gardener, there is an extensive section on the basics--variety selection, soil preparation, planting, cultivation, harvest, and floral design. For the commercial grower, The Flower Farmer includes information about larger-scale production, plus advice about selling to florists, wholesalers, supermarkets, brides, at farmers markets, and more. Also includes revised profiles of successful growers offering behind-the-scenes insight into the operation of some of the cutting edge flower farmers in the country. 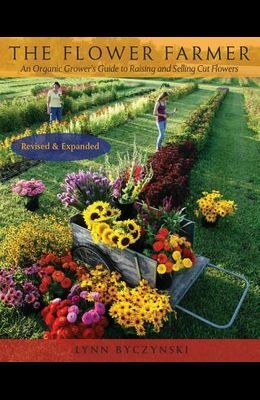 Because of the extensive revisions and enhanced content, this new edition of The Flower Farmer is essential reading for those already in the flower business, as well as those who dream of growing flowers for enjoyment or profit.